On a frosty Saturday afternoon before Christmas families of young children gathered to celebrate Christmas together with their neighbours at the Lockner Estate under 5’s Christmas party. 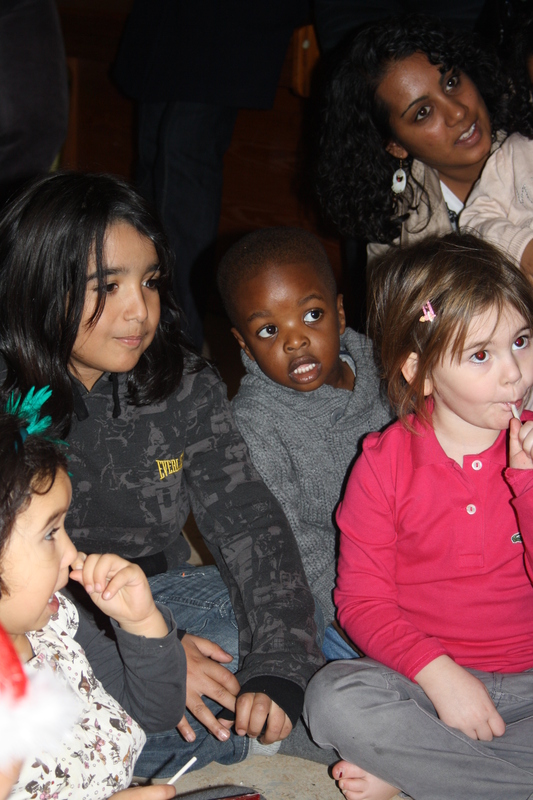 Children over 5 went along to the Hackney Empire to see the annual Christmas panto with their parents, courtesy of the TRA. The committee of Mum’s organising the party worked tirelessly decorating the venue with giant inflatable snowmen, over 100 balloons, a soft play area, ball pond, santas grotto and, of course an enormous Christmas tree. 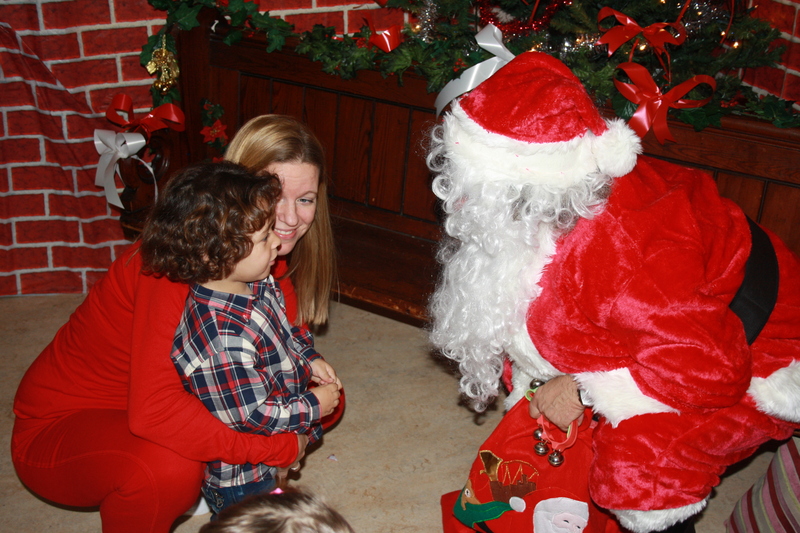 The party was also catered for with snacks and drinks for both parents and children. The party was a seasonal blast! The children loved every second, from the ball pond and soft play, carol singing to the DiDi dance class that had been arranged for them http://www.diddidance.com/ with singing, dancing, streamers and sparkily pom poms. The party came to a climax when the lights were dimmed and all went quite so we could hear Santa’s reindeer bells, landing on the roof. 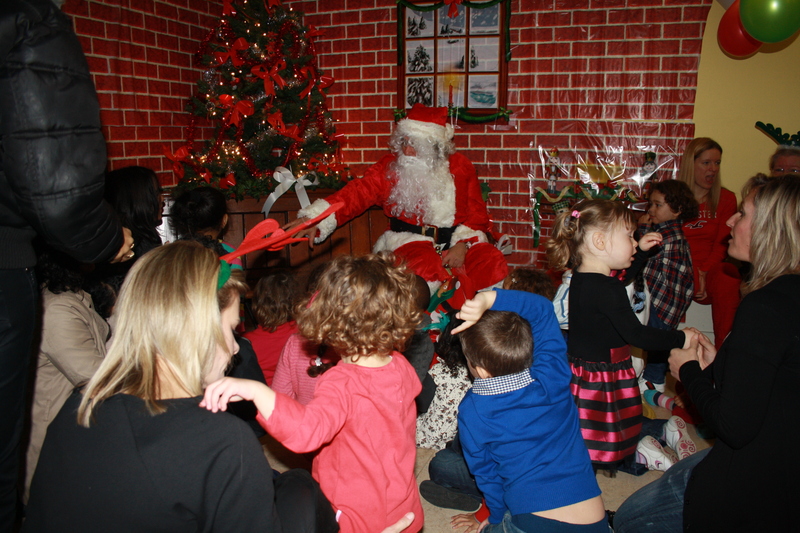 Santa himself was spotted outside a window by the children, looking for a fireplace, and he was welcomed into the party with cheers of excitement. 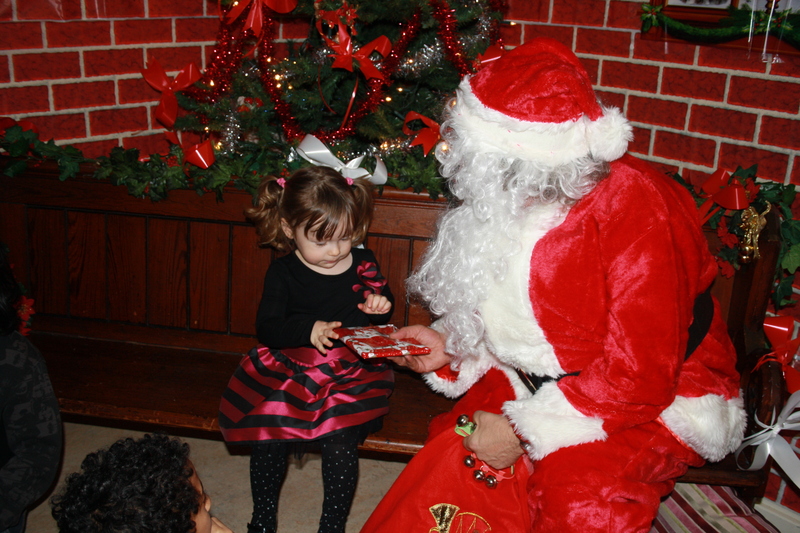 Santas grotto was opened, and all the Lockner little ones sat listening to Santas christmas story, before taking their turn to sit next to him and receive their present.